With its statehood dating back to over one thousand years, in 2018, Lithuania will celebrate 100 years since the restoration of its independence. The Act of Reinstating Independence of Lithuania (Lithuanian: Lietuvos Valstybės atkūrimo aktas) was signed by the Council of Lithuania on February 16, 1918, proclaiming the restoration of an independent State of Lithuania, governed by democratic principles, with Vilnius as its capital. The Act was signed by all twenty representatives of the Council, which was chaired by Dr Jonas Basanavičius. The building of the modern Lithuanian state in 1918 was based on the principles of the equality of all, as well as the freedom and prosperity. The people of the country became the creators of their state, and later on, during the years of the occupation – the guardians of its tradition. The Centennial of the new Lithuania is a success story. Celebrating #RestoredLithuania100, we say #Labas (Hello) and celebrate our freedom, our people and our creativity! Following the successful practice of issuing some of Europe’s fastest e-money (EMI) licenses to the numerous global tech companies, Lithuania has announced it will host Europe’s first international Blockchain Centre in Vilnius. Blockchain Centre Vilnius is being set up with the partnership of Blockchain Centre Melbourne, the world’s first not for profit blockchain technology community hub and coworking space. The Centre's mission is to unlock economic and social value by applying blockchain technology to business, finance, and public administration. Blockchain Centre Vilnius will be a unique place for blockchain entrepreneurs, developers, investors, policymakers and regulators from Europe and around the world to share ideas, know-how and best practices. It will be a one-stop shop for technical, legal, tax and financial advisory services, with a special focus on helping blockchain start-ups reach their business goals. Blockchain Centre Vilnius officially opens on January 27, 2018. In addition to this, The Bank of Lithuania announced it will launch blockchain regulatory and technological sandbox platform-service LBChain in 2019. The LBChain would help Lithuanian and international companies carry out blockchain technology research, as well as develop and test blockchain-based solutions for financial services. FREOR is an internationally operating manufacturer of commercial refrigeration equipment for various format grocery stores and supermarket chains, offering a wide variety of food display solutions, including remote and plug-in cabinets, serve-overs, freezers. FREOR was founded in 2000 and is headquartered in Vilnius, Lithuania. Since the production of the first branded FREOR cabinet, company‘s unique quality and value proposition has rapidly gained recognition both domestically and internationally, now selling to 20 countries worldwide. FREOR applies advanced technologies and provides high quality refrigeration solutions that reduce energy consumption. A key focus is on environmentally friendly solutions - natural refrigerant propane R290 and low GWP HFCs driven refrigeration equipment with built-in compressors and Hydroloop water cooled system. The company also produces refrigeration equipment, suitable for use with CO2, which help our clients optimize their energy consumption and minimize negative environmental impact. FREOR’s high quality standards are certified by the ISO 9001 (quality management), ISO 14001 (environmental management), and ISO 50001 (energy management). ALBC welcomes our new member - House of Baltic Linen, a Lithuanian family owned company, based in the beautiful Mornington Peninsula, Australia. House of Baltic Linen has simple philosophy: to create beautiful linen things for home that people will love, that are timeless and will be passed from generation to generation. All linen fabrics comes from Lithuania, famous for its finest quality organic linen. Linen is the world's oldest and healthiest textile and is the best choice for the entire family. It is anti-microbial, resistant to fungi, helps to calm skin break outs, perfect for people with asthma, suffering from allergic skin disorders like rash or eczema. In cool weather linen sheets will retain body heat keeping you warm and cosy, while during hot summer nights it will absorb excess heat, feels dry, fresh and cool against your skin. All House of Baltic Linen products are designed in-house and made with loving care exclusively in Lithuania and Australia. Pure, simple, refined and so elegant, vintage inspired designs pay tribute to everything there is to love about linen. - business development partnership opportunities. The International Chamber House (ICH) is located on level 5, 121 Exhibition Street, Melbourne and is a hub for Australia's extensive network of bilateral international chambers and business associations, their members and visiting local and overseas business delegates. ICH is managed by the Department of Economic Development, Jobs, Transport and Resources and supported by the Victorian State Government. Get in touch with us if you would like to discuss access to The International Chamber House facilities ans well as other benefits of being an ALBC member! Australian Lithuanian Business Council is excited to welcome the first Corporate Member from Lithuania - company The Natural Amber. - Guarantee that products are made from genuine natural Baltic Amber, certificates of quality and safety. Australian Lithuanian Business Council is delighted to announce that the Australian division of Franklin Templeton Investments became Council's new Sponsor Member. Franklin Resources, Inc. [NYSE:BEN] is a global investment management organisation operating as Franklin Templeton Investments. Franklin Templeton Investments provides global and domestic investment management to retail, institutional and sovereign wealth clients in over 150 countries. Through specialised teams, the company has expertise across all asset classes—including equity, fixed income, alternative and custom solutions. The company’s more than 600 investment professionals are supported by its integrated, worldwide team of risk management professionals and global trading desk network. With offices in 35 countries, the California–based company has more than 65 years of investment experience and over A$1,100 billion in assets under management as of April 30, 2015. The biannual Baltic Investors Forum brings together more than 500 stakeholders and provides a unique platform for leaders from the government, political parties, business, academia and civil society to discuss and explore cooperation possibilities and growth initiatives in the Baltic area. Over 100 Honorary Consuls of Lithuania were coming to the conference and bringing together foreign business delegations to meet with the participants. 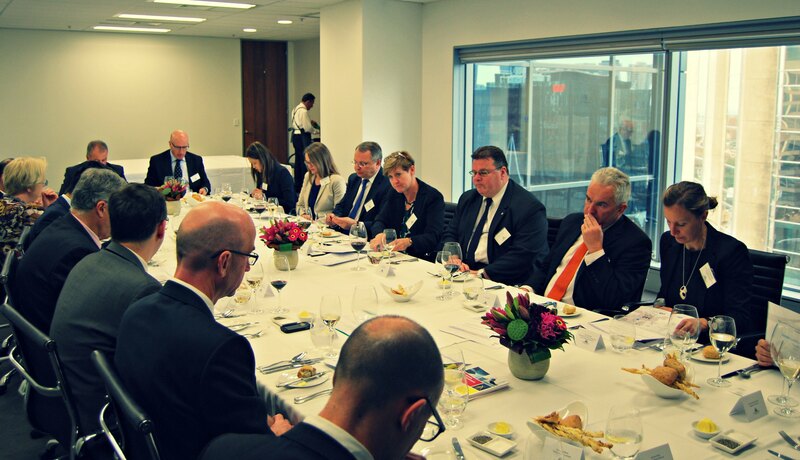 Mr Linas Linkevičius, Lithuanian Minister of Foreign Affairs, visited Canberra, Melbourne and Sydney during his trip to Australia in March 2015. The Minister was accompanied by Mr Simonas Šatūnas, Director of External Economic Relations Department, Ms Ina Marčiulionytė, Director of the Department for Asia and Pacific, Latin America and Africa, and Mr Egidijus Meilūnas, Ambassador Extraordinary and Plenipotentiary of the Republic of Lithuania. The Minister and the accompanying delegation met with the Australian Lithuanian Business Council to discuss further co-operation in promoting bilateral trade and investment. The delegation and ALBC representatives also attended a business networking event sponsored by Franklin Templeton Investments and presented Lithuanian economic overview and business opportunities for Australian companies. 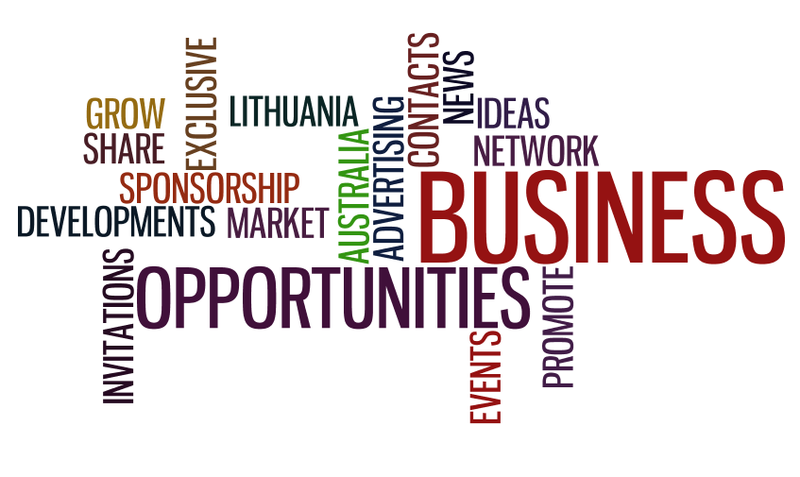 © 2015 Australian Lithuanian Business Council Inc.